Cyber Monday, which this year falls on December 1st, is known as the busiest day of the year for online sales. It is the first Monday after the American holiday of Thanksgiving, when online retailers offer consumers special deals and offers to kick-start Christmas shopping. The first Monday in December has been recognised in the past few years as the busiest day for online shopping, thanks to research done by VISA. Now, online retailers have turned this fact into an advantage by using clever discounts and special offers to entice customers. Cyber Monday is essentially the online equivalent of Black Friday. For those who haven’t heard of Black Friday in the US, it’s the day after the Thanksgiving holiday when retailers reduce the price on thousands of items for one day only. Customers battle each other in the shops and queue for hours to find the best deals. Thanks to Cyber Monday, consumers can now get the most competitive deals around at the touch of a button. The Cyber Monday phenomenon first started in the US, but is now becoming a recognised event in the UK online shopping calendar. Last year, Amazon UK reported that on Cyber Monday they had received orders at the rate of 47 items a second, and in total had managed to make 4.1 million sales across the day. Tesco also reported last year that their website visits were up 114% on Cyber Monday 2013, compared to a normal Monday. Before Cyber Monday kicks off, it’s best to check that your website, servers and applications are ready to take on the rise in traffic to your site. Slow websites will frustrate visitors and cause them to look elsewhere. Contact your hosting provider well in advance of Cyber Monday to discuss any possible issues that may arise and how they can be solved. Decide upon which discounts and offers you will offer to consumers on Cyber Monday weeks before it happens. Once decided, you do not need to tell your customers what the offers will be before the actual day. But you will need to build landing pages, banners, targeted emails and other tools to assist you in your Cyber Monday campaign. Although you don’t need to advertise what specials and deals you will be offering on Cyber Monday, you can offer customers an insight into what you will be offering in return for email addresses. For example, you can offer ‘early release’ offers to customers who sign up for your newsletter, or use enticing CTAs such as ‘register for our newsletter to be the first to hear about our exclusive Cyber Monday deals’. This way you have collected addresses for email marketing, and generated interest and anticipation in your company leading up to Cyber Monday. You can prepare a Cyber Monday-themed design featuring special offers for a limited time. You can also create new landing pages for any particular deals and products you are trying to push. If a customer lands on a website which is Cyber Monday themed, they will associate it with savings. Make it obvious to customers that they can save money with you on this day. 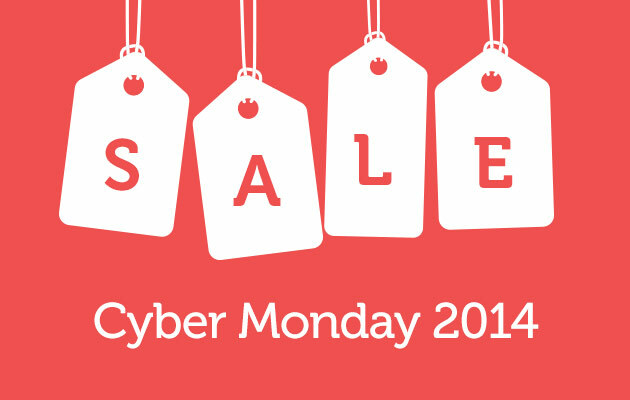 Cyber Monday will see an increase in traffic to your website, so use this to your advantage. Encourage users to sign up to your email marketing list, so you can retain them as customers. Not everyone who visits your site on Cyber Monday will make a purchase, but if you can convince them to sign up to your newsletter they may become a customer in the future. If you need any help getting your e-commerce site ready for Cyber Monday, get in touch with Union Room today.